If you want the most portable 13-inch laptop that's also as fast as possible, Dell's XPS 13 laptop may be in your future. The new model is available with Intel's 8th-generation Core i7 or i5 CPUs with quad-core, eight-thread horsepower, a 3,200 x 1,800 (QHD+) display, 40Gbps Thunderbolt 3 and two USB 3.1 Gen 2 (10 Gbps) ports. Yet, all of that fits into what Dell calls "the smallest 13.3-inch laptop on the planet," with 5.2 mm top and side bezels and as little as 2.7 pounds of heft. The XPS 13's small size and power (which is a running theme for the model) is no mean feat, especially since Dell didn't cheap out on ports or other features. Along with the Thunderbolt and USB ports, there's a dedicated power connector, SD card reader, headphone jack and fingerprint reader. By contrast, other manufacturers, especially Apple, make you buy extra accessories to get those inputs. It's also equipped with a "Killer" brand WiFi system that gives you extra connectivity features when paired with a compatible router. You can get up to 16GB of RAM, 125GB SATA, 256GB or 512GB PCIe SSDs, or a standard 1TB SSD. 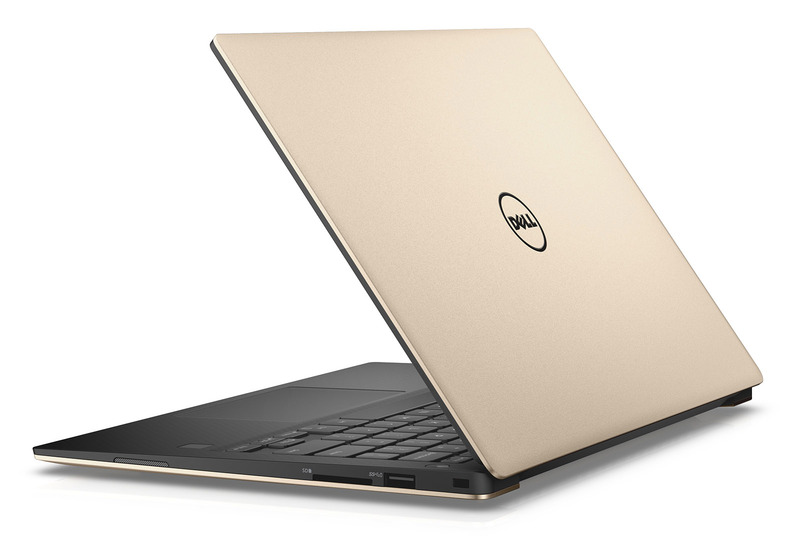 As with the last few XPS models, the 60 watt-hour battery is built-in and not user-replaceable. Dell says that it's good for up to 22 hours on MobileMark (13 hours for the QHD+ model) or 13 hours of Netflix streaming (the QHD+ model can go 9 hours). It's worth noting that Dell has among the best keyboards and trackpads on Windows PC laptops, and we'd expect the new model to follow that theme. The XPS 13 settles for Intel UHD Graphics 620 on the high-end 8th-gen Intel CPU models, rather than discrete graphics from NVIDIA or AMD. By contrast, NVIDIA's new Max-Q spec is is pushing powerful gaming models way down in size -- MSI's GS63VR laptop has NVIDIA GTX 1070 graphics, for instance, but is just 3.9 pounds. Still, properly equipped, the XPS 13 can drive a pair of 4K monitors, and thanks to their extra hyper-threading capability, Intel claims its 8th-gen CPUs perform up to 40 percent better than the previous models. As before, the XPS 13 can be had with a number of accessories, including the 12,000 mAh Dell Power Companion to extend your battery life, a Thunderbolt Dock, adapters and a wireless mouse and keyboard. It's available in silver or rose gold on September 12th in the US starting at $800 for a basic model with last-gen CPUs. If you want a model with the latest chips, along with more storage and RAM, expect to pay a lot more.